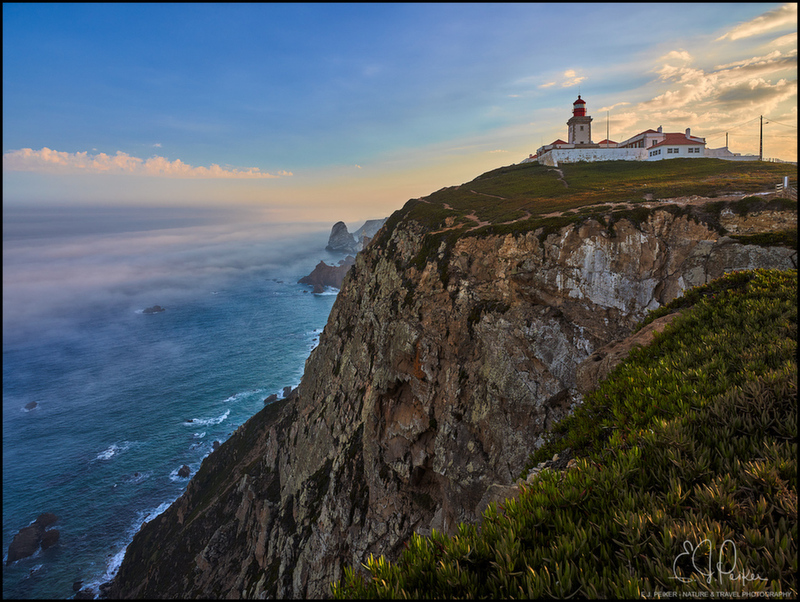 The western-most tip of continental Europe - so many great lighthouses in Portugal! I love the way the light catches the tips of the foreground vegetation, and the misty sea view is beautiful! The lighthouse and the wonderful rock detail just complete a great image! Quite magical-looks like it is a castle (ok-lighthouse) above the clouds, though the foreground rock is certainly solid...and massive! You get to the most amazing , remote-looking places. Super image. I love the way the lighthouse is a bit darker than the wonderful sky behind it. The rock cliff is spectacular. Great colors and light in the sky. I love the foggy mist above the water. Nice rich colors.